law practices that offer workplace investigations for a lower cost, it was important for Noesis to stand apart. Elu Creative partnered with Brand Strategist, Lindy Patterson to launch their brand. Noesis wanted to express sense-making clarity and perspective that they can deliver even in the most complex situations. As a result, the brand was intended to feel warm and inviting, while maintaining the highest level of sophistication and perfection. 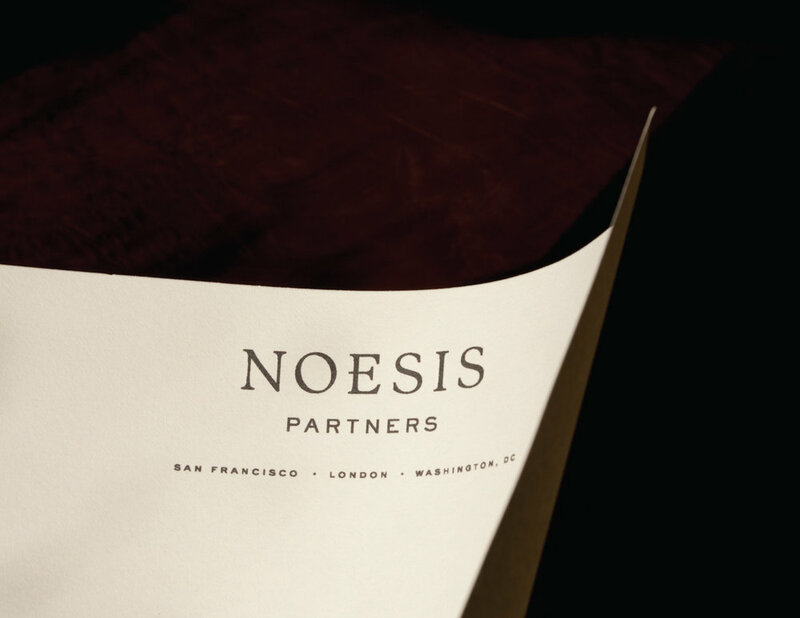 Noesis Partners is located in San Francisco with offices in Washington, D.C. and London.